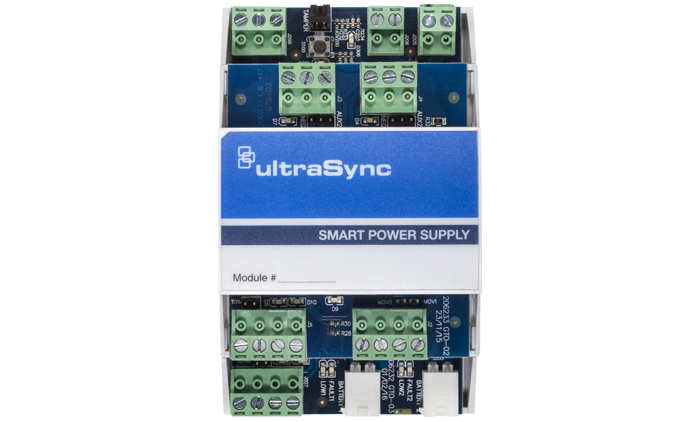 The UltraSync® Modular Hub Smart Power Supply provides additional auxiliary power, battery backup capacity, bus length extension and optical bus isolation. When additional battery backup capacity is required, an additional battery can be installed (up to two), affording you the flexibility to configure the module for a variety of system design requirements. This module provides the option to extend the RS-485 bus length up to an additional 2,600 ft. (800m). 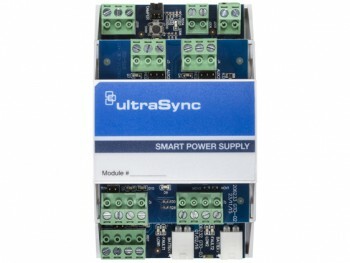 Up to eight smart power supplies can be used per system. For convenience, two hardwired zones and two programmable relays are available.